In addition to talking about Chicago authors this month, I also want to highlight some of the great publishers based out of Chicago. For my inaugural Chicago Publisher Spotlight, I wanted to tell you all about a fairly recent discovery of mine, Other Voices Books. I’ve chosen to start with them for a number of reason: I cannot wait to read some of their books, particularly after Margie and Sue from The Bookstore talked so much about Billy Lombardo’s “How to Hold a Woman” (more about this title later this month! ); they are a Chicago press with a number of Chicago authors; in 2005 they were one of the first fiction-centered independent publishers to emerge in Chicago, and; they are highly committed to the Chicago literary community and to helping Chicago become more prominent in the publishing community. But let me tell you why you should care about Other Voices Books! Another thing I find very interesting about Other Voices (although maybe this is just me, dork that I am), is their operating model. They were essentially the first imprint of Dzanc Books, another independent publisher. There are now 7 not-for-profit imprints of Dzanc, which now all collaborate on printing, design, and marketing, and share a distribution channel. I could be wrong, but this seems like an incredibly smart model for a boutique press like Other Voices which publishes 1 or 2 titles every year, giving that author or two their full attention. 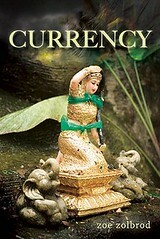 *Note: “Currency” is Other Voices Books’ first novel, and the first book in their Morgan Street International Novel series. They are in the process of expanding their vision to include novels set outside of the United States, another area in which they feel American literature is in deficit. I absolutely love this post, although I must admit in the past 15 minutes since I read it I have added three books to my TBR, and I am embarrassed about the size of that pile. As you know, I DID love Billy Lombardo’s HOW TO HOLD A WOMAN, but I didn’t know anything about Zoe Zolbrod. Now I can’t wait to read CURRENCY and her blog is amazing. I could go on and on but I’ll just say, “GREAT JOB” on this one! As if I needed more inspiration to live up there. This is great. Publishers like this really can benefit from a shout out like this. You are starting out your month with a bang! Jen, this is what book blogging is all about—getting the word out to the masses. And you’ve done a great of that with this post. It’s of great interest to me because many years ago I was a Chicago commuter via the South Shore, Penn Central, and I-45. 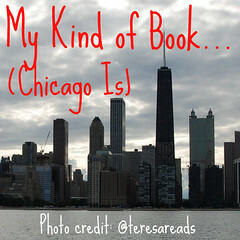 I’m looking forward to reading about authors and publishers from Chicagoland. All of Billy Lombardo’s books sound like good reads. I really like this site. It’s a great venue for Chicago readers and authors. I live in Chicago and write fiction. I’m also a scientist but my writer side of me is pulling me really hard, to the point I really feel I’ll end up being a writer 100%. Not too late, in fact it could happen next year. I have a few projects already advanced, one of them published (www.niebladesortilegios.com ). As you’ll notice, I write in Spanish but all my books will hopefully be in English too. There are a couple of things I want to achieve in quarter one of 2011: get connected to a publishing agent and get connect to a good novel translation service from the area of Chicago to translate my novels into English.